Innovation is at the heart of every successful company. It’s what distinguishes a company from the competition and sets it on the right track to growth. However, getting your teams to think and work creatively isn’t so easy. Staffs are often bogged down by daily tasks and middle-level supervisors are often overwhelmed with putting out fires. Many leaders often wonder how to spark creativity in their teams amidst such challenges. If you are wondering how to do it, here are ways you can boost your team’s innovative capacity and get them to exercise innovation more frequently at the workplace. One of the best ways to get staffs to care is when they are involved in the firm’s decision-making or strategizing chain. It gives them a reason and an incentive to be creative. Businesses that engage staff in strategy building often have deeper loyalties and trigger innovation from the teams. Your corporate culture must be seen to appreciate innovativeness rather than look at innovative attempts as unwanted intrusions. How do your team leaders treat mistakes? Do they consider these as on the job training or outright negatives which deserve disciplinary action? How do your managers respond to naïve ideas from young employees? Do they take them up with seriousness and weigh the pros and cons or do they shrug them off or at times even publicly embarrass the person? Nurture a culture which treats mistakes in the right way and welcomes suggestions at all times. It may not be the most creative idea at first, however, this is building the pipelines for an inflow of creativity. Schedule brainstorming sessions with your teams or have managers inculcate such sessions in their departments. 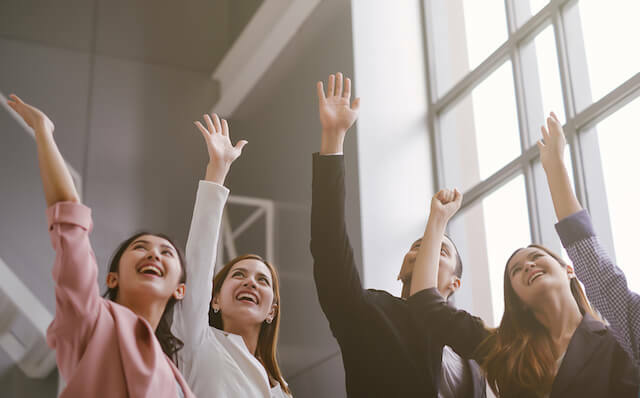 You can boost the effectiveness of these brainstorming sessions by planning outdoor or indoor team building games in Singapore. Such sessions will help team members feel more at ease with each other and work together more cohesively. Indoor team building games such as escape room games help team members to be decisive and take action over a scenario while bearing in mind the pros and cons of such a decision. But don’t just leave such skills at the indoor team building activity venue, take it back to the office and use it to empower your team. Encourage employees to take measured risks, be decisive and take action. Don’t be too critical when things don’t work out. Make a note of such instances and learn from the failure. But, don’t quench the desire to take risks and develop solutions. You may institute the above measures however, you must ensure that the minds are fresh in order to think. Team members who have been putting in fifty or sixty hours a week are not likely to make considerable contributions to your innovative pipelines. Burnt out employees just want to run through the clock and get home. Thus, you can ease up and cut down on the hours of work. Additionally, exciting but challenging outdoor or indoor team building activities can also help to recharge their drive to work and improve teamwork at the same time.